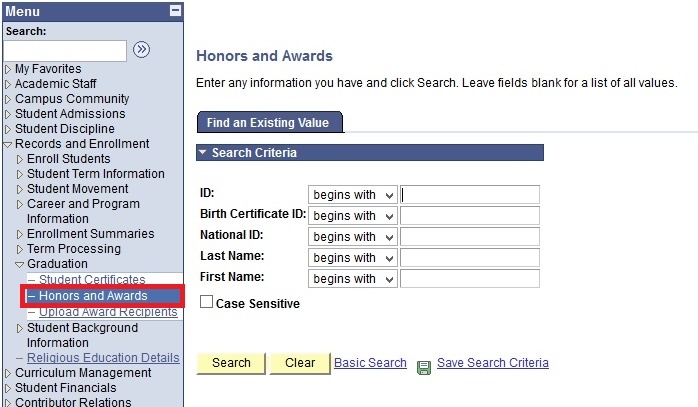 This function allows the users to add and modify individual Honors/Awards Recipients. Student ID is a unique key. 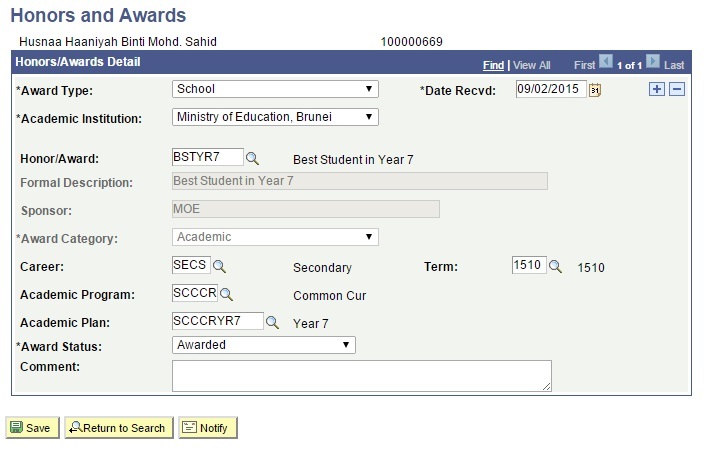 Once user click Search button, it will automatically open the specific student details. Fill in the details into their respective fields. 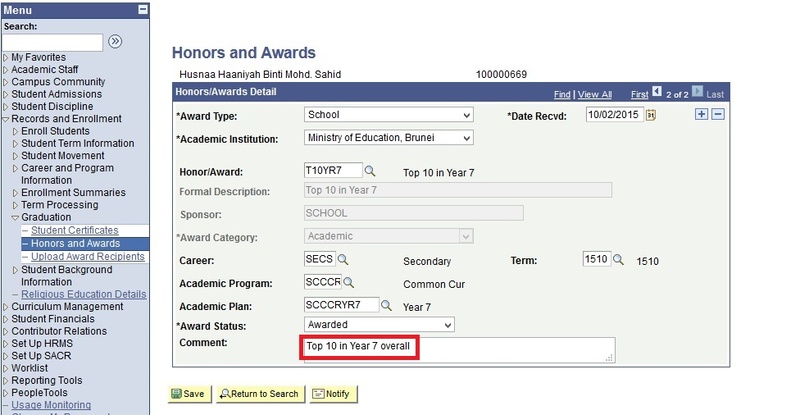 If user wish to enter another Honors/Awards for the same Student ID, Click on the ‘+’ button and repeat steps 3 and 4. Click on the ‘-‘ button to delete the record. A message box will appear to ask for confirmation. Click Yes button to cancel request. Click No button to return to page.